Last week the restoration of the most significant baroque building of Temesvár/Timișoara started. 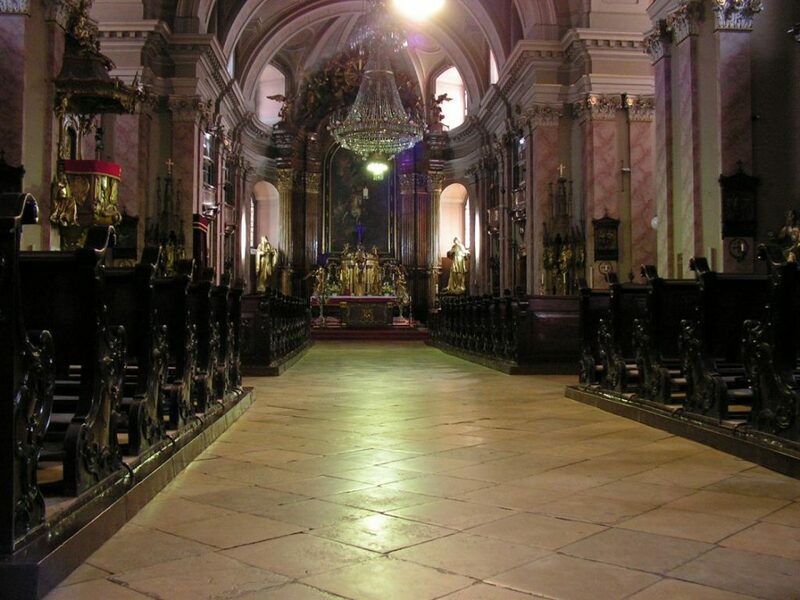 The Szent György cathedral will also have its own website, that will be virtually visitable after the restoration. The cathedral, built in the 18th century is now undergoing serious rehabilitation for the first time. According to the plans the restoration of the cathedral, – that will again shine in its entire grandeur – will be completed in 2020. The restoration works’ total costs are of RON 16 million ($18.15 mln), fully funded by the European Union. “First the decorative details, statues made of wood, altars, paintings, wrought-iron details will be disassembled, these will be transported by the restorers and then the dismantling of the stone flooring and the total rehabilitation of the complete church building will begin”, project manager Karina Cistelecan said. The restoration of the paintings will be performed by specialists in situ, in the sacristy, the decorative details and statues made from wood will be re-gilded. After the restoration the whole interior of the church will get a lot of light. The missing and fragmented elements of the stone flooring will be replaced by the material coming from the same quarry in Germany, that provided for the stones brought during the building of the cathedral in the 1700s. Besides this, floor heating will also be installed. The Szent-György cathedral had some 19,000 visitors a year, a number that is expected ti increase upon completion of the renovation. The baroque cathedral will also be open virtually 24/7 on its home page. People living with disabilities will be able to visit the restored church through a special side-entrance. After the restoration the crypt of the Temesvár/Timisoara dome, where the bishops and canons of the diocese rest will also be open for visitors.